I was that girl in 7th grade who ran for about two seconds during the dreaded mile run, felt like she was going to die, and then walked the rest of the mile. I tried tennis but basically liked the sound of the ball hitting racket more than playing competitively. I hate balls since I've had about fifteen of them whack me in the head. I'm still confused about why anyone would like playing the pain-inflicting game of volleyball. I'm not athletic. I'm not sporty. I like yoga pants because they are comfortable. Unfortunately, you have to exercise to be toned and fit--unless you have the metabolism of a sixteen-year-old football player. And I don't. Even when I was sixteen, I think I had the metabolism of a sixty-year-old! Can I confess something to you? I'm a little bummed out about my figure right now. When I got married almost four years ago, I was an average weight for my height. After about six months of marriage, I started to steadily gain a little pudge. Then, after a trip, I looked at pictures and realized how much weight I had gained. I decided to lose it. Using Sparkspeople, I lost almost twenty pounds. Then, we got Mac. Since then, I've gained every one of those pounds back. At the end of last year, I knew that I had to lose the weight or buy bigger pants. Do you have those pants? Those if-I-don't-fit-into-these pants....lose it or else pants? Since January, I've been working on getting back into shape. But, I'm a believer in taking steps that are manageable long-term. Yes, I may want to drop ten pounds in two weeks, but I know that I won't keep it off. I want long-term results. After a few months of eating better and even adding some exercise into my routine, I was still the same weight. I knew that I needed more accountability. So, last month, I started using Sparkspeople again to see what happens. Although I haven't been perfect, I've been diligent about watching what I am eating and exercising more. Still. The scale has only budged a pound or so. The good news is that I have trimmed off an inch here or there. Honestly, I'm more concerned with how I feel and how things fit than my weight. At the same time, it's discouraging to eat well and have so little change. I also hate to count calories. I do, however, like any exercise that is a bit fun or upbeat (like Zumba!). I also know that if I don't change up my work-outs, I'll get bored super fast. If I'm bored, I quit. Or if my muscles are burning, I quit. I'm kinda lame. 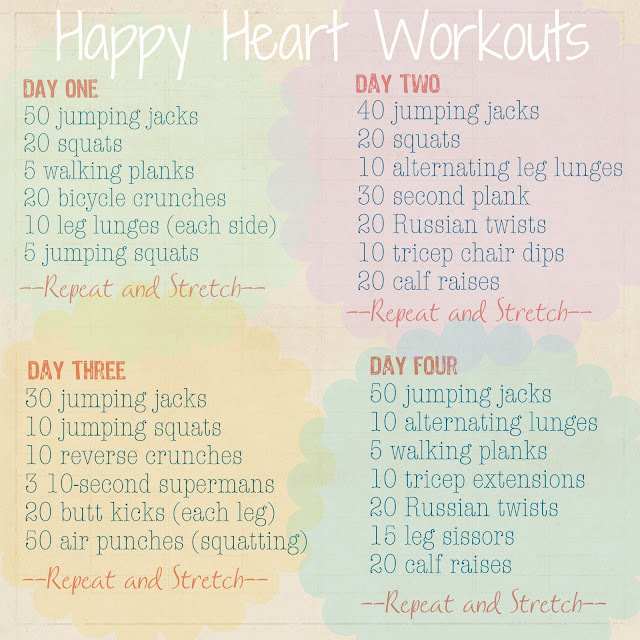 Maybe you are like me and like a quick and happy workout. 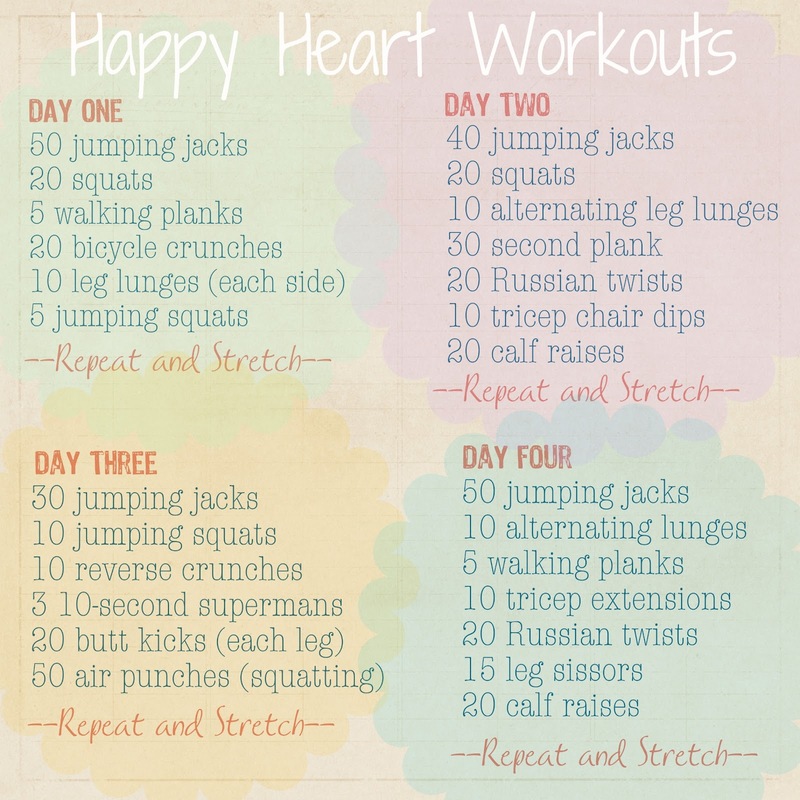 Maybe, if you are cool and athletic, this would be an easy warm-up. Maybe you just want to try it and see how non-athletic I really am. I'd love to know what you guys do to stay in shape or what your workout routine you have! I'm always looking for new things to try (unless running is involved!). Any other non-workoutaholics out there? I feel ya girl! You can do it!! I was having issues with my pants fitting snugg too. I am really trying to hold myself accountable for working out!